Canada Day is here and that means fireworks. Humans love the bright lights and loud noises. Most animals do not. It was during our backyard fireworks display last year that we lost our Rosie. Our dogs were not frightened by the noises but it did not occur to me that the cats would be. Rosie ran right through the screen door to escape. We got her back a couple of months later but it was a rough couple of months for everyone. 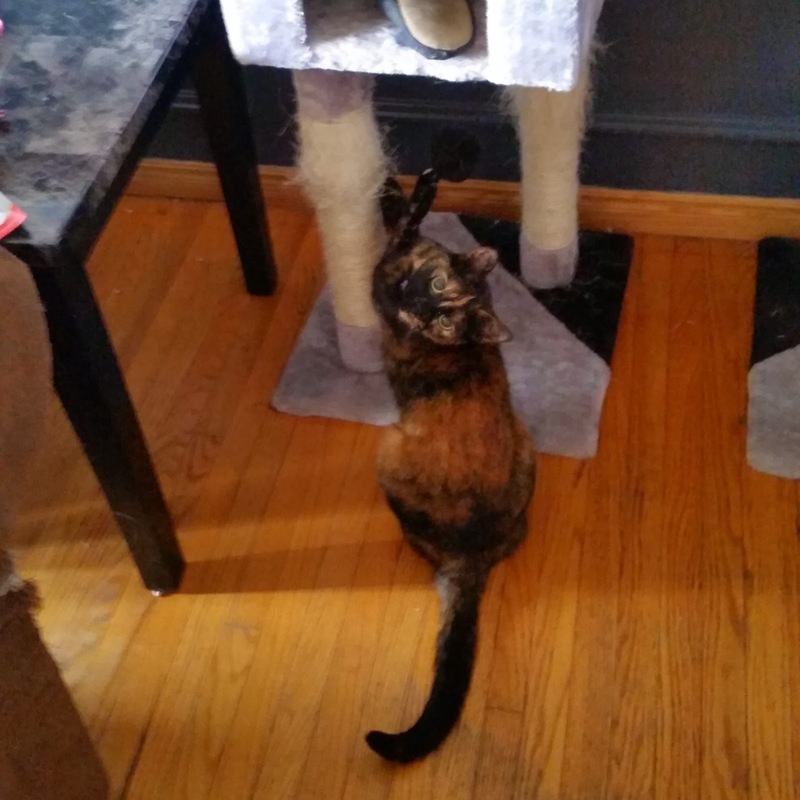 My daughter cried every day over her cat being missing and she blamed me completely. 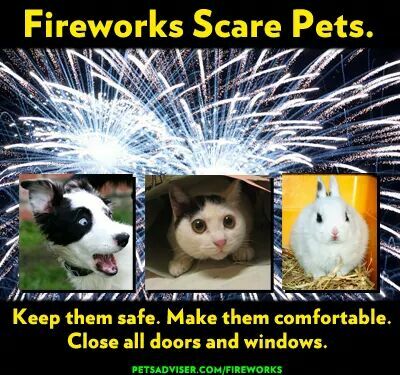 Don’t take them to firework displays. It won’t make them get used to it. It will just frighten them more. Keep them secure at home. They are usually happiest someplace where the noise is dampened like the basement or a room without windows. Soothing background noise that they are comfortable with like the television or the radio can be helpful too. All the humans need to stay calm too. If the humans panic then the animals will too. Most importantly, don’t be a fool like I was and expect a screen door to stop a frightened animal. Keep your pets secure and have a Happy Canada Day. I’m so glad you got Rosie back! That must have been a nightmare. One of my dogs is terrified of fireworks and I know how to keep him safe, but it never occurred to me that a screen door might not keep the cats in if they start to panic. Thanks for the tip.